How to choose the best wall mount makeup mirror with all of the features you need. 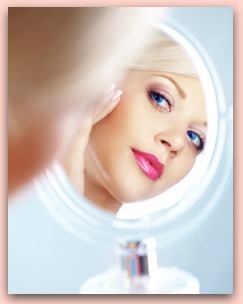 Find a professional makeup mirror with great magnification, lighting, and battery life! A wall mounted makeup mirror is probably one of the best beauty investments you can make. These rotational mirrors come in a variety of shapes, sizes, and with different amenities to choose from. They can make precise makeup application and precise grooming much easier, especially with a magnified mirror and a standard mirror. Here are a few things to look for in your next wall mount makeup mirror. When shopping for a wall mirror, it is a good idea to spend some extra money and buy a product that is high quality and will last for years. 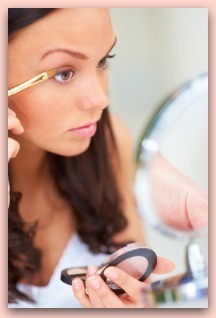 Cheap makeup mirrors tend to have poor lighting, distorted mirrors, and finishes that may chip over time. Once you are ready to start shopping, spend some time looking through different items features and pick one that has the things you need. There are dozens of different features that make a wall mount makeup mirror useful and attractive. For example, are you looking for one that is cord-based or battery operated? Some of the better mirrors are cordless and will run on battery life for several years with regular use. Do you want a mirror that swivels? Some mirrors swivel only a fraction of the full circle, while others rotate 360 degrees. You should also decide if you want your mirror to be a lighted one. For best use, we recommend that you find a lighted make up mirror. These make grooming incredible easy. On the lighting note, there are quite a few options to choose from in your new mirror. You can find both LED fluorescent and standard yellow light in makeup mirrors. You can also find ones that are dimmable, and ones that have dual lighting for day and night. These options can make a big difference in the quality of your mirror, and you can be sure that you will pay a little more for the better features. The next thing to consider is the size of your mirror. Most wall mounted makeup mirrors come in diameters of 8” to 11”. This is usually large enough to help you apply your makeup and groom without having to move the mirror too much, but with a little searching you can find more sizes. Magnification options are probably one of the most important things you will want to look for in your next mirror. Many makeup mirrors have two sides, a 1X and a 10x magnifying mirror. If you like to get up close and personal with your face, this is definitely the way to go. Some higher end mirrors even have more magnifications than this! Once all is said and done, make sure that you pick a mirror that has what you need and will serve you for a long time. Zadro makes some extremely high quality, fully functional makeup mirrors with all of the features you could want. Some of their better mirrors cost between $90 and $130, but come with rave reviews from previous customers. Happy shopping!